Teaching speech pathology students – never enough time! Part of my job role is to lecture speech pathology students about multi-modal communication. I share this role with Hilary Johnson. 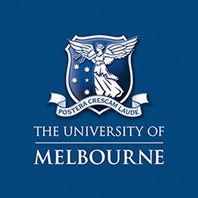 We have the position of adjunct lecturers at both Melbourne University and Latrobe University. The School of Human Communication Sciences at Latrobe University uses a Problem Based Learning (PBL) approach to teaching. Latrobe offers an under-graduate program in speech pathology but also has an option for a master’s entry level. Students’ learning involves problem-based scenarios that cover assessment and intervention issues. There are a series of case studies that highlight key aspects of multi-modal communication. For instance, one scenario is about a young child with cerebral palsy who uses a PODD communication book and needs to update her access to technology. Another is about a woman with motor neurone disease who is realising the need to use another form of communication to compensate for her deteriorating speech. There is a case study about a young adult transitioning from school to adult services. And there is also a seminar topic on the assessment of severe intellectual disability and a young man with Down Syndrome. Melbourne University offers a Masters in Speech Pathology and students enter with an undergraduate degree often in a related area. Teaching at Melbourne has a more traditional lecture format. Students receive a series of lectures in multi-modal communication based on Dowdens’ model of communication. This includes information on emergent communicators – where their level of communication ability has not yet been determined; context- dependent communicators – reliant on communication partners for successful interactions and independent communicators – where speed of communication may be the biggest barrier. Both universities provide skills classes in aided and unaided communication. Students get the opportunity to learn Key Word Sign and to get a “hands on” session with electronic and non-electronic communication devices. We aim to give students a taste of multi-modal communication. We want them to understand that AAC (Alternative and Augmentative Communication) is a viable option and not a last resort for people who have complex communication needs. There is never enough time to cover all that a new speech pathologist needs to know. But hopefully, the students see the important role speech pathologists have in the area of complex communication needs and that if nothing else, they know where to find and who to ask information. This entry was posted in Uncategorized on January 20, 2015 by crcscope. Mildura residents came to experience some of the challenges faced by those who can’t use speech to communicate. A silent morning tea was held in Langtree Mall to promote communication and give the public a chance to use alternative forms of communication. Many got involved in the various games, including silent bingo and themed activities on the tables that introduced different forms of AAC. Hand gestures, writing, communication boards, pictures and even moulding of play dough was used to try to get their message across, some more successful than others! It was great to see the local Parkinson’s and Stroke Support Groups, as well as members from the Christie Centre and other community organisations and even those that were just having a stroll through the mall and decided to join in. 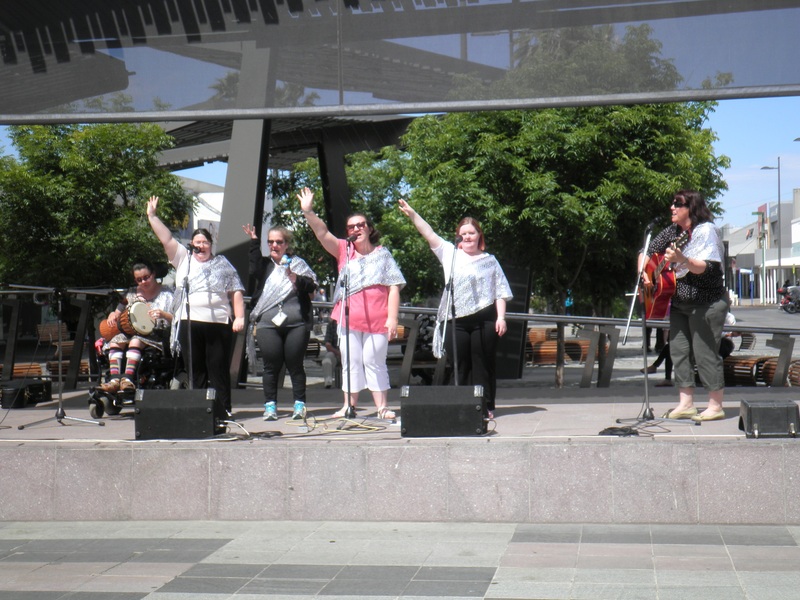 A stand out of the morning was a performance by the Sunny Street Singers, a choir from the Christie Centre. The choir is made up of 5 talented young women who have performed at many events around Mildura. They performed original songs with accompanying key word signs and received a great big silent applause for their outstanding effort. The Silent Morning Tea received TV and Newspaper coverage, which aimed to increase the awareness of complex communication needs in Mildura. Many that attended made statements such as “it made me realise how difficult it is not to use speech to communicate” and “I didn’t know about people that have trouble talking”. Overall it was a great morning that was enjoyed by all and sent home a strong message about communication in the community. This entry was posted in Uncategorized on January 7, 2015 by crcscope.